Inspire your team with an unforgettable sports tour, completely tailor-made to suit you. Our team of former teachers and School Sports Travel Specialists will work closely with you to design your tour. We’ll also provide you with 24-hour support whilst you are away, so that you can relax and enjoy an incredible sporting experience with your team. Whether you’re looking for a preseason training camp for your school rugby team, an international tournament for your school football team, or simply the chance for your netballers to pit their skills against local opposition, we will tailor-make your school sports tour to suit your group. We’re a family-run school sports tour operator providing tailor-made school sports tours. Founded by teachers and staffed by sports travel specialists, we’ll support you throughout the process of arranging your tour; from your first enquiry to the moment you return home. 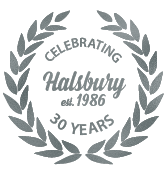 Halsbury Sport is the Youth Sport Trust’s Preferred Supplier for school sports tours. The Youth Sports Trust is a national charity that aims to improve the lives of young people through PE and school sport. Find out what happens on a Pro-Training Tour to Real Madrid! You’ll experience what life is like for Real Madrid players by training at the exclusive Valdebebas facility with the club’s own youth coaches! You’ll go behind the scenes of the famous Bernabéu stadium and watch a live game!